Since we posted the plight of our new FOOD BANK families less than 2 weeks ago, many generous donors came forward to offer support in cash and kind. Click below to read more about the families. Knowing how desperately the family needs help, Bro Ivan collected 16 tins of Nutren milk from Datin Shiou Bin this morning, and immediately delivered them to Mdm Yap's daughter (Soo Yuen) at their flat in Sg Besi. It was such a relief to the family as the cost of the milk takes up a big chunk of Soo Yuen's salary. The families are truly grateful for your kindness and compassion, helping them at the time when they are really in need. Come join us celebrate Hari Raya Aidil Fitri with children in the pediatric ward in Hospital Kuala Lumpur. Ti-Ratana Meals on Wheels will be bringing festive cheer to 40 children who are in the pediatric ward for chronic respiratory illness, including complicated lung diseases. Many of these children are not able to run around, play with their friends, go to school and do all the normal things other children do. We hope our visit will turn an ordinary day in the hospital into a special and memorable one. Please email a copy of the deposit slip to trccpenchala@gmail.com and specify if the donation is for a specific wish list item or general expenses for this event. If you are contributing items, please inform Kim at yeapkimsee@hotmail.com or 012-3036019. All items must be delivered to Ti-Ratana Penchala Centre by 5pm, Wednesday, 4th September 2013, to give the committee sufficient time to buy and pack any outstanding items. Please arrive at the Ti-Ratana Penchala Centre by 9:15am for a briefing. We will depart the Centre for HKL at 9:30am sharp. No transportation will be provided to get to the event venue and back to the Centre, so kindly ensure you make your own arrangements. Please note that parking in the HKL compound is VERY LIMITED, so try to carpool as much as possible. Please email yeapkimsee@hotmail.com or call Kim at 012-3036019. In the spirit of love and sharing, lets make 8th September special for these children who were not able to "balik kampung" to enjoy their Raya. Lets do whatever we can to give them a reason to smile. With the cash contributions, we will be able to purchase and sustain Soo Yuen's mother's only source of nutrient, i.e. 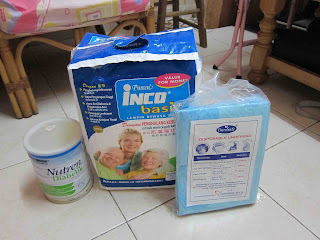 Nutren milk powder for 2 months plus. She consumes 10 tins (900 gm tin) per month, and each tin cost almost RM70. She has been in this condition for a year without much improvement. We are uncertain how long she will remain like this, and continuing to add stress to their only source of income, i.e. Soo Yuen's salary. Therefore, we would like to appeal again to kind donors to help Soo Yuen's family, especially for the costly milk powder, Nutren. Please email a copy of the deposit slip to June at trccpenchala@gmail.com, and let her know how you wish us to use your donation. If you have any questions, please contact June at trccpenchala@gmail.com or call +603-7784 9002 / +6012-2409020. On behalf of Soo Yuen and her family, we thank you for your kind thoughts and contributions to the family. Over the Raya weekend, Bro Ivan and I visited Uncle Chin who was referred to Ti-Ratana Meals on Wheels as a potential candidate to be included in our MOW FOOD BANK program. He then requested that we visit his bedridden sister-in-law who happens to live in the same block of flats. Below is a summary of the pieces of information we were able to gather during the visit. We hope their predicament will touch you in some ways and you will find the compassion to render some help to these two families. 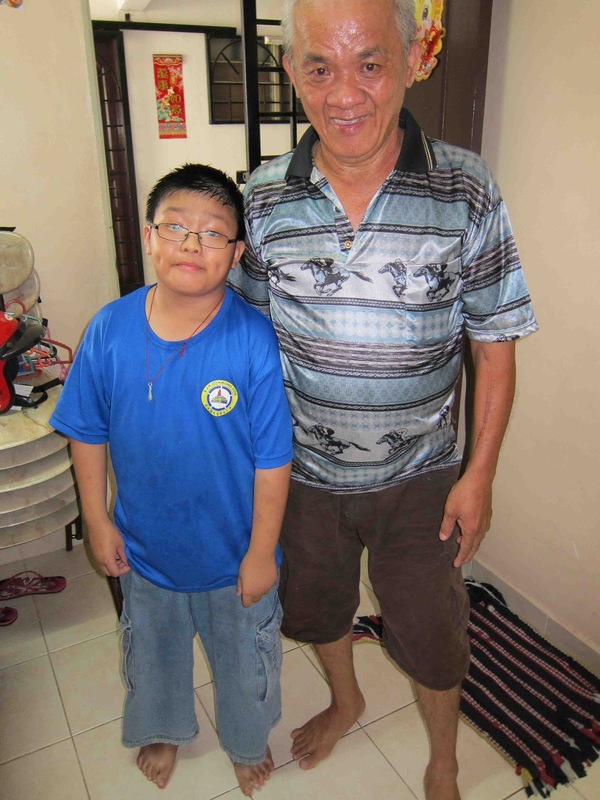 Uncle Chin lives in a flat in Sg Besi with his 10 year old son, Chuan Yoong. His wife died at the age of 44 years in July 2013, after battling with kidney disease for the past 4 years. She was on dialysis for the past 2 years which exhausted the family’s savings. We could sense that he greatly misses his wife and is still adjusting to his new life without the wife. Uncle Chin works in a factory producing snack foods, although his left arm is scarred and weak after a nerve surgery 6 years ago. He takes home about RM1,500 per month after the mandatory deductions. He owns the flat he is staying but is paying a monthly installment of RM250 for the housing loan (20 year loan of which he has another 15 years to pay). 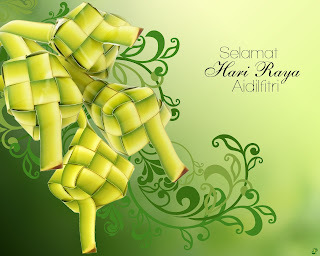 Maintenance of the flat is RM70 (inclusive of water) and electricity is RM70 per month. RM350 – goes to a relative who lives a few doors away to care for his son after school and providing him with lunch on Mondays to Fridays. All these expenses totaled RM1,040, and the balance of RM460 is for household expenses like groceries (he cooks dinner for himself and his son), breads/buns for his son’s breakfast on school days, petrol for his motorbike, his own lunch while at work and other incidentals, which is barely enough with the high cost of living in Klang Valley. Both Uncle Chin and Chuan Yoong are trying to move on with their lives after losing their beloved wife and mother respectively. 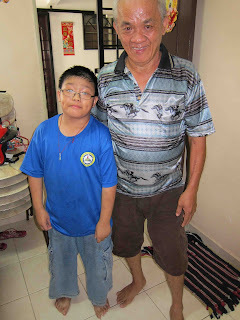 Chuan Yoong attends school at SJKC Kwong Hon, Sg Besi and according to the father is quite a good student but a little mischievous. Soo Yuen is the niece of Uncle Chin. She lives two floors above Uncle Chin, with her two children (Jia Fui, 5 yrs and Jia Chian, 11 yrs) and her mother who is bedridden. The mother suffered a serious stroke in April 2012 and was paralyzed. After 3 weeks in HUKM, she was sent home. Since then, the family has been caring for her at home. Soo Yuen’s elder sister, Soo Leng who lives in Serdang comes daily to care for her mother while Soo Yuen goes to work. Wth the help of her younger brother who has a car, she takes her mother to HUKM once a week for physiotherapy, and accupuncture in Old Klang Rd 3 times a week. The mother sees the doctor in HUKM once every 3 months. With a year of treatment, the mother has improved a little (she can slightly move one side of her body) but by and large, she is still immobile and bedridden. Soo Yuen’s father has a second family and no longer comes home. 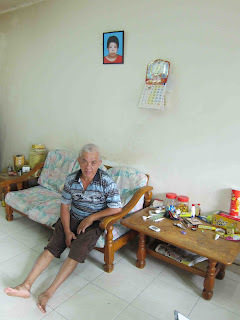 The father of Soo Yuen’s two children are also nowhere to be seen and not mentioned at all when we visited the family. RM680 – Nutren milk powder (this is her only nutrient and fed through a tube). She consumes one 900gm tin in 3 days, which works out to 10 tins a month x RM68/tin. RM100 – to Soo Leng to care for her two children after school and providing them with lunch. Their total monthly expenses exceeds Soo Yuen’s salary and the family is struggling to make ends meet. Soo Leng’s husband works in printing and they have 3 children of their own, thus cannot help much. 1. Monthly groceries for the MOW FOOD BANK program - this will be RM100 per family per month. 2. Other expenses - this will include Soo Yuen's mother's medical expenses (milk, diapers, etc), the children's education expenses, or just a general donation towards the family. Donation towards milk, diapers, etc, does not necessarily be for the full month ... whatever amount will be welcomed. If its for MOW FOOD BANK, please let June know the family(s) you would like to sponsor and for how many months. 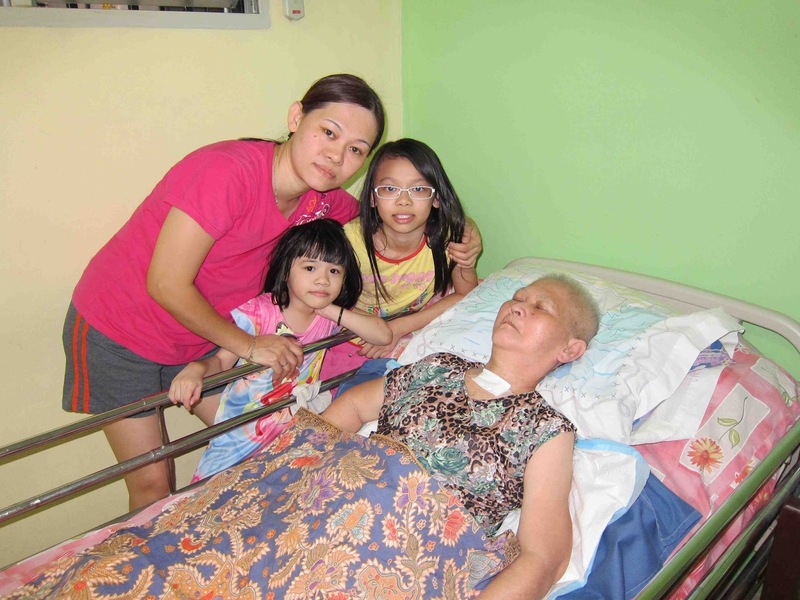 We pray for Soo Yuen's mother to recover and gain her mobility soon. In the meantime, these two families desperately need your help, in whatever way you can ... every little bit helps. THANK YOU!